Nathmalji Ki Haveli in Jaisalmer is splendor among the havelis in Jaisalmer. 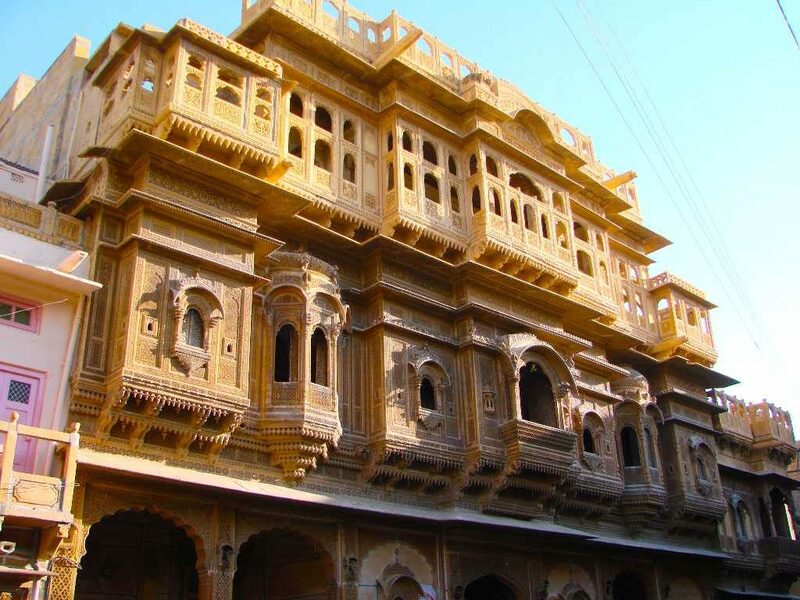 A major among the tourist attractions in Jaisalmer, the Haveli was the house of Mohta Nathmal, the then prime minister (1885) at the Jaisalmer royal court. 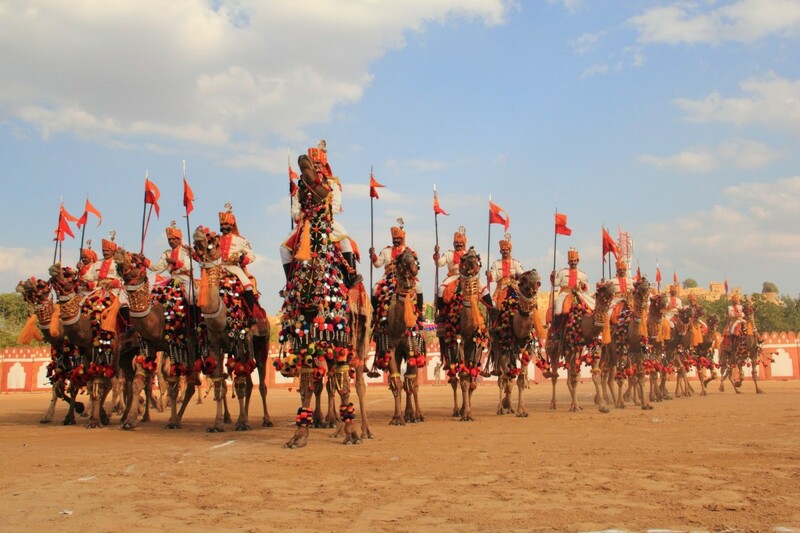 Conceived by two Muslim engineers, Lulu and Hathi, it is an epitome of Rajput skills. 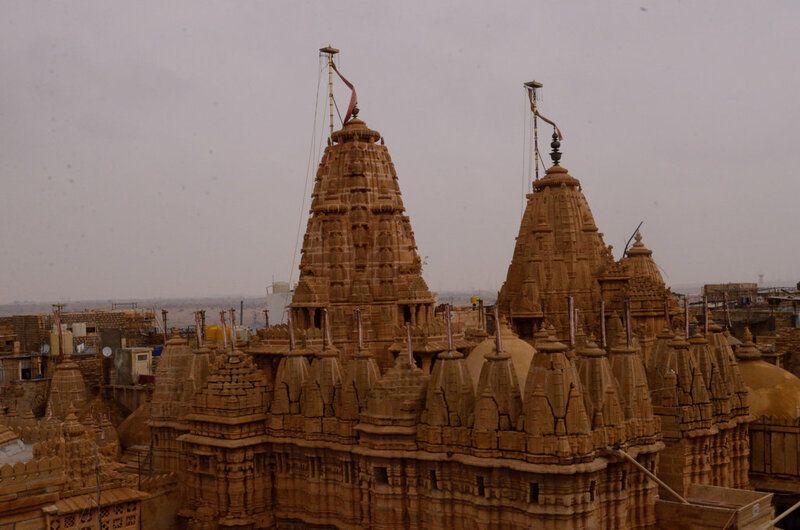 Nathmalji Ki Haveli in Jaisalmer is foremost among the places of tourist interest in Jaisalmer. 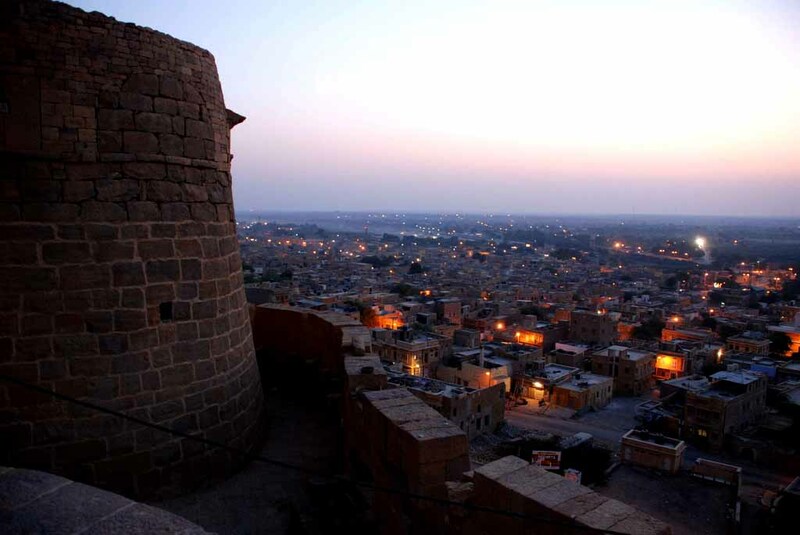 A visit to Jaisalmer and the haveli is sure to overwhelm you with the stone-carved screen windows, exquisitely executed murals, jewel like balconies and a rich architectural splendor. 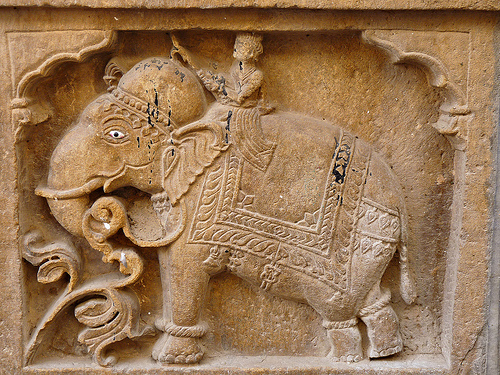 Two full-scale yellow sandstone elephants receive you at the access of Nathmalji Ki Haveli. massive haveli. Though built on one building plan and the architectural brilliance, the two wings were built differently. However, the two wings seem to have faultless harmony. The walls are ornamented with stone figurines of horses, flowers, birds, elephants and interesting patterns that resemble extravagant pieces of out of the ordinary jewelry. Nathmalji Ki Haveli in Jaisalmer, Rajasthan, India is a proud reminder of the lofty Rajasthan history that shines with tales of war, obsession, adore and intrigues. The high-flying lifestyle of royals was not just restricted to kings and nobles but was duplicated by the merchants and the affluent. The haveli is a fusion of both Rajput structural design as well as Islamic sculpture that was introduced through the traders’ caravan.